Devon joins WTJ with significant experience in both business and commercial litigation, as well as professional liability. She has successfully taken numerous cases through trial and arbitration, taking pride in her development of positive, integral relationships with her clients throughout all phases of litigation. Devon is admitted to practice law in all California State Courts and all U.S. District Courts in the State of California. Devon is AV® Preeminent™ Peer Review Rated with Martindale-Hubbell. Devon is a member of the State Bar of California (Litigation Law Section), Fresno County Bar Association, Federal Bar Association, American Bar Association, California Society for Healthcare Risk Management, and Association of Business Trial Lawyers. 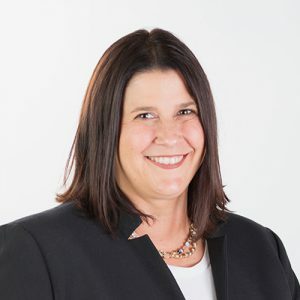 Devon has extensive experience in the defense of business and complex commercial litigation matters, fraud, unfair competition, corporate and partnership disputes, and professional malpractice, including attorneys, accountants, directors, and officers liability. She also has significant experience in defending hospitals, medical groups, physicians, and other medical facilities in matters relating to healthcare litigation. She has been retained, on numerous occasions, to assist both large and small employers in obtaining Workplace Violence Restraining Orders in an effort to protect their employees, both from a safety and liability standpoint. Devon is an adjunct professor at San Joaquin College of Law, where she teaches civil pre-trial litigation. She is actively involved in speaking at career fairs on behalf of Madera, Fresno, and Clovis Unified School Districts. She regularly volunteers her time as a scoring attorney for mock trial competitions in Fresno and Madera Counties.